AC Milan vs Sassuolo predictions ahead of this Serie A game on Saturday. The Rossoneri continue their top four charge in Saturday’s clash with the Neroverdi. Read on for our match preview and free betting tips. AC Milan’s hopes of making the Coppa Italia final once again were boosted on Tuesday night. The club were able to grind out a 0-0 draw in their visit to Lazio. They come back from Rome in a good position, ahead of April’s second leg. Now Milan are refocusing on their chase for fourth, which they will hope to have won by late April when that second leg rolls around. Can the Rossoneri add three points to their cause this weekend? The hosts have a strong record in their recent Serie A outings, winning three on the bounce. They’ve looked like a transformed side in attack, thanks to the additions of Lucas Paqueta and Krzysztof Piatek. Those signings have helped Milan add a new dimension to their play. The hosts were able to win 3-0 against Empoli here last weekend, a win which moved them to within two points of their bitter rivals Inter. Meanwhile, Sassuolo are still outside of the top half after last weekend’s draw with SPAL. The visitors are now four games without a win, while they’ve lost 3-0 twice in their last three games. There could well be another heavy loss for the Neroverdi this weekend, following three defeats in their trips to the top five this season. 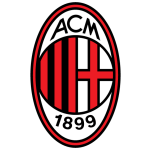 Will the Rossoneri add to their struggles away to the elite? Milan have won four of their last five meetings with Sassuolo, a run which should be continued here. The last meeting saw the Rossoneri pummel their opponents, as they won 4-1 away to the Neroverdi. That’s part of an impressive run for Milan, who have hit 14 goals across their last six meetings with Sassuolo. Given the fantastic form of Piatek – who still has seven goals in his last six games for the club – they could rack up a few more here. Milan have won eight of their 13 matches at home this season. They’ve got a 100% record at home to bottom half sides, while they’ve won four of their last five at home. Gattuso’s side have three wins on the bounce here, scoring eight times and conceding none. They’re in fine form, and they should add a few more goals to their tally here. Milan have scored twice in all of their home wins this season, while Sassuolo have conceded at least two in all of their Serie A defeats this term. With that in mind, a home win and over 1.5 goals looks like great value here. AC Milan have found the net in 10 of 11 Serie A games against Sassuolo, scoring 22 goals (2 on average for match). The last time AC Milan picked up at least 45 points after MD25 in Serie A was back in 2011/12 (51 points under Massimiliano Allegri). 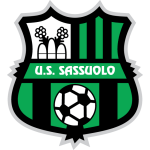 Sassuolo have won only three of their last 19 Serie A games (D9 L7) – in the first six matches of the current league season, they won four. AC Milan have used the fewest different players (22) in Serie A this season. Gennaro Gattuso is currently on 49 Serie A games as Milan manager (W24 D17 L8) – the last Red&Black manager to win at least 50% of his first 50 league matches was Massimiliano Allegri (W31 D13 L6). Krzysztof Piatek has netted in his first four starts for AC Milan in Serie A; since 2004/05, only one player scored in each of his first five starts for a club in the competition – Piatek at the start of this season for Genoa. Suso has scored three of AC Milan’s last six goals against Sassuolo in Serie A – including a brace in the reverse match. AC Milan are one of only two teams (along with Napoli) that Khouma Babacar has faced at least six times without scoring in Serie A.